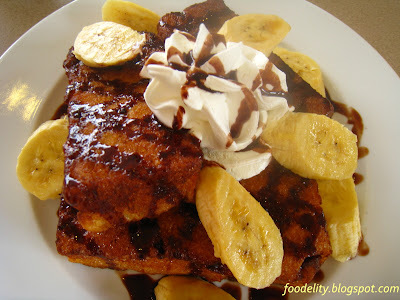 Types of Food: Coffee, cakes and pastries, breakfast meals. If you and a friend or any of your circles happen to meet for a good tete-a-tete, isn’t it worthwhile to pass the time with an enjoyable cup of coffee at a very comfy place? 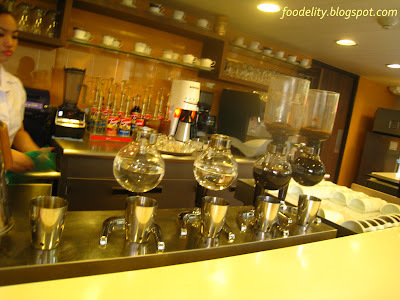 Where can you find a better place to sip in that coffeerific aroma of coffee beans? 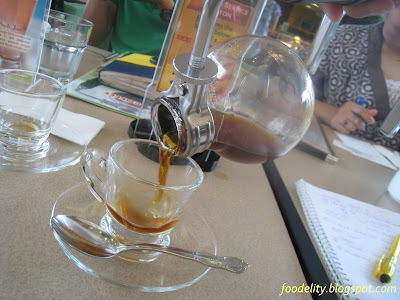 There’s one coffee shop I know in the busy city of Cebu, in UCC Café Terrace in Ayala Terraces. I personally got the privilege to make a buzz in the café and experience the so called “Good Coffee Smile” that is expected to each coffee addicts and soon-to-be advocates of coffee when they have their own cup! Do you want to know how they prepare your coffee and how it leaves a good taste and aroma that sum up to a total coffee experience? I’ll sneak a bit of the details but it’s good that you feel how good tasting their coffee is! UCC stands for Ueshima Coffee Company. It got its name from the person who popularized it, Tadao Ueshima way back in 1933 in Japan. Today, coffee production has been part of Japan’s world class standards and scientific experiments to perfect its magical taste and aroma for every customer’s satisfaction. Hubert Young, a businessman brought UCC to the Philippines and is currently holding its exclusive franchise and now got 20 chain branches throughout the country with 3 different concept stores: Vienna Café, Café Terrace and Park Café. They say that for coffee drinkers to appreciate the quality flavor of their coffee, the quality of the soil of the producing country as well as the beans to grow are at first considered at the very beginning of its cultivation/production. Other factors may include, seasonal or climate changes and the environment where the coffee beans are grown. For UCC, their main coffee plantations are direct from Jamaica (UCC Blue Mountain Coffee Craighton Estate), Hawaii (UCC Hawaii Kona Coffee Estate) and in Indonesia (P.T. UCC Lintong Mandheling Coffee Estate). The type of coffee beans UCC are using are ARABICA beans as its more rich in taste and more flavorful and complex than other types of coffee beans. 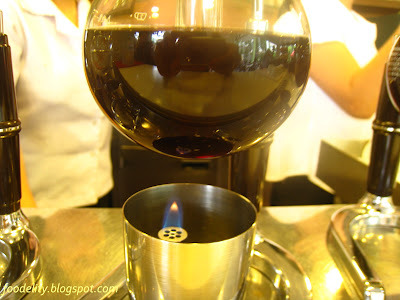 I know you will say that, “it’s just coffee, why make a big deal with it?” I agree but that was my first perception when later I realized that UCC itself is embracing the advantage of using technology to improve its coffee taste in setting beyond one’s expectation to a high-level of coffee drinking experience i.e. quality coffee cup. 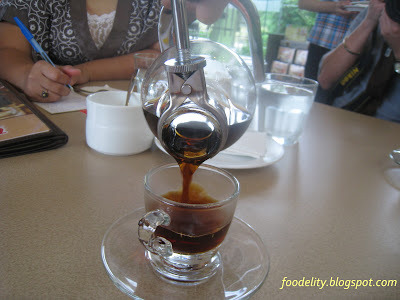 We (along with other food bloggers in Cebu) were introduced to their Triple Temperature Natural Dripping Technique in brewing our coffee at different temperature levels. We noticed those rounded glass flasks attached to siphon tubes where the coffee will be mix with heated water as it goes up, a mixture system coupled with an accurate amount of flame. Of course, precise stirring at the right momentum is highly observed by the coffee brewer. Indeed, it’s how UCC is proud in preparing our coffees! They served our coffee, not too hot to drink, just enough not to burn our lips when taking a sip, a thought they also considered. Coffee is best enjoyed within 5 minutes. Note that! 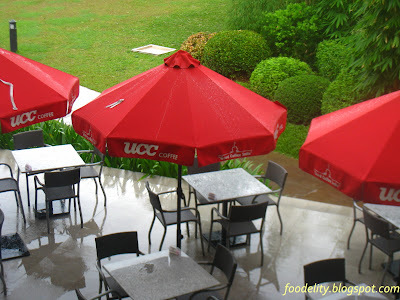 Still wandering what to order if you happen to drop at UCC Café terrace? Don’t worry, let me introduce what my taste buds also experienced. And note, each coffee has its own specific signature cup (based on the cup design). Another unique thing with UCC! UCC Blend- it got the perfect combination of flavor and aroma. If you’re a fan of blended coffees, this one may be a good starter for you. BTW, it’s their best-seller coffee blend! Sumiyaki- this is charcoal roasted coffee beans. It’s strong in taste. You might add brown sugar crystals to sweeten taste. So far, this is my favorite among the three if coupled with their specialized UCC creamer. Blue Mountain- the coffee beans are from their plantation in Jamiaca and it got a subtle taste, perhaps, lighter than that of Sumiyaki’s. It’s one of their highly-priced coffees. 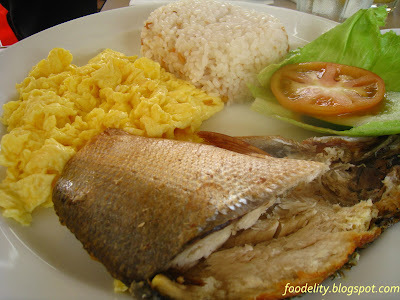 Breakfast Meal Tinapa (smoked-milkfish)- Definitely a fave of moi! Try it! 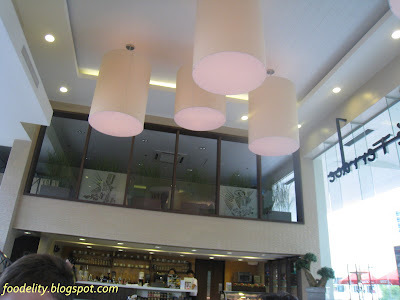 UCC café terrace in Ayala Terraces has a high-ventilation ceiling that I so much love because it’s good for air circulation inside though the place is air-conditioned. It allows you to breathe in and savor your coffee. Their glass-prints are also chic and fab! It exudes youthful tolerance and laughter. They have designated areas for smokers on top (smoking area), the mezzanine and meeting lounge for those in big groups who wants privacy. The shop also provides free wifi connection for those bringing in their lappies and ipods or psp. Fronting the café are canopy umbrellas to those who prefer to stay outside while being one with the lushy green environment of the terrace. Since UCC coffee is all-over the country (Philippines), you may enjoy to take your share with its therapeutic benefits of coffee, chic venues and sophisticated ambiance of its different concept stores nationwide. *UCC Coffee Vienna Café is a “hotel coffee shop outside of a hotel”. Ideal for business meet-ups for young professionals and businessmen-alike. 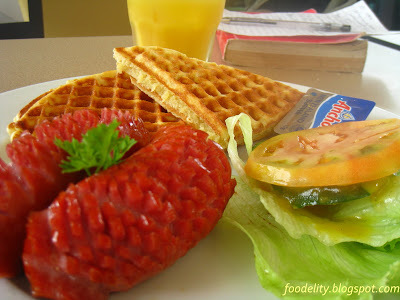 *UCC Coffee Café Terrace gets the feature of a classy and cozy atmosphere that mimics a contemporary country club. Picture out a family smooching on their coffees or a team of employees in their relaxed hours after a days’ work. *UCC Coffee Park Café is conceptualized for active juveniles, students, blossoming friendships and dating parks for those young at hearts. It got plush park landscape of greenish and earth plants within an urban-driven buildings, malls and hotels. Still giving a refreshing view of nature. Coffee is the source of satisfaction and comfort, and is the medium for togetherness. 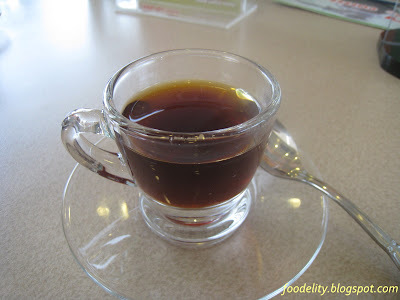 In short, “magkape ta bai”, in English “let’s have a cup of coffee”. Have you found the Coffee Chic? You might claim your price from me if you found it! Buzz me in! SPOT the Coffee Chic and Chef Queer will sponsor a cup of coffee at UCC for you! 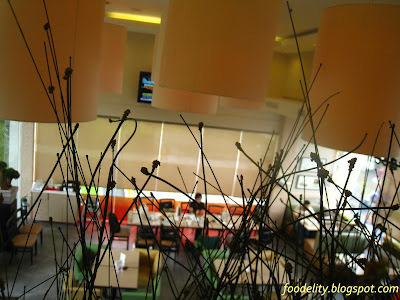 With Yehey.com’s invitation, I was able to get the chance to experience the La Maison way of dining. La Maison actually means “the house”. We are welcomed by the restaurants’ General Manager, Ms. Marissa. She gave a short overview of the place’s history as well as the menus to be served for us to lavish on! * Tostitos, a fried tortilla open faced, topped with beef and cheese blended perfect with spices. It’s one of their appetizers. * Barkada Ribs is grilled pork ribs in barbecue and he honey chili sauce. Actually good for 2 or 3 persons! * Classic Gourmet Platter is a combo of French Gourmet Dishes: Le Charconte, Boeuf Bourguignon, Coq Au Vin and Sole Fish Tapanad, it’s a good classic delight sampler for your friends. * Seafood Marinara which composed of fresh shrimps, mussels, and lapu-lapu in a Tomato Basil Sauce. If you’re still into the pasta-syndrome that day. *Salads for vegetarians, they also served Ceasar salads and the likes. Thanks to Doyzkie and Photoblogger for the photo credits! Muchos Grazias!!! My Cebu Bloggers Society family with the Yehey.com team, KanKan and Elaine. Other existing branches: Bacolod city, Silay City, Kabankalan City in Negros Occidental. 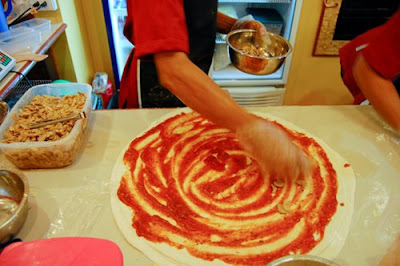 I have written my piece of this new pizzeria in the city thru this blog. I’m there during the ribbon-cutting and opening of its main branch in Cebu! I was able to taste their best sellers and other flavors of pizzas served fresh from the oven to a group of Cebu bloggers! Definitely, I recommend you also mouth-up and check the pizzeria yourself! 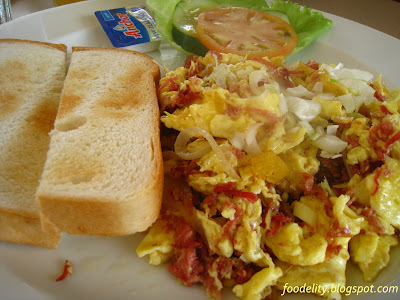 Soon, they will open another branch in Lapu-lapu city in Mactan Town Center this July! 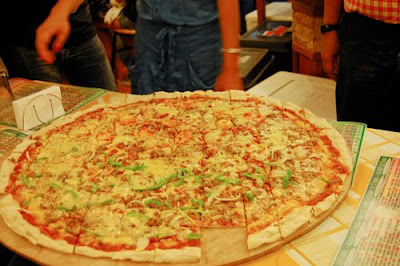 They will be introducing their famous 52-inch size pizza to the locals and pizza-rangers in the next months to come. 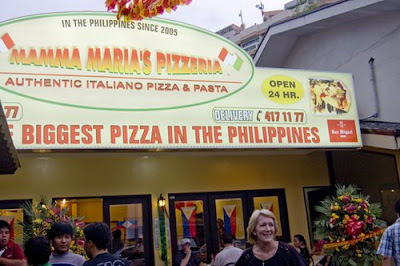 It’s their signature offer to be called the Biggest Pizza in the Philippines! Whoaa!!! They’ve got 27 different pizza flavors for you to choose from! Their delivery time is at 8 am until 2 am only. We get the chance to see how they make our pizzas right before our naked eyes! 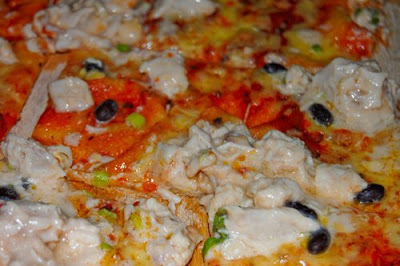 I certainly love their KINILAW pizza! Yeah, with real tuna or white marlin chunks overloaded on it. Also captured my taste buds is their KEBAB pizza! Photos used courtesy of Sinjin.ph. While checking on their menu. Do you want a yummy or side dish/appetizer? Or any viand for your rice on your meal? Looking for pasalubongs and giveaways? I’m featuring Bueno Sardines to you! If you search the word “Bueno” it’s a Spanish word that means “good”. Definitely, being delighted to taste how good Bueno’s Spanish sardines, is an opportunity for me to feature it as a product with quality and good taste. Fresh herrings from the ocean are caught, directly processed and cooked (salted and seasoned) into sardines (Spanish style) and put into sterilized bottles and voila, ready to market and eat (of course)! It comes in different flavorful varieties. Prices my range from P60.00 to P90.00 (it may change according market demands). Discounts are given if purchased in bulk. 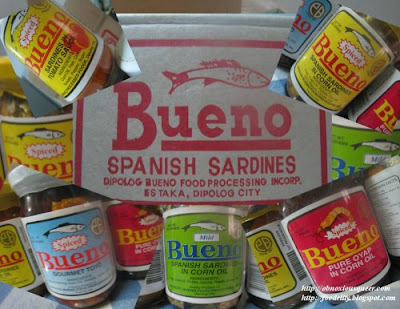 Bueno Sardines is a product of Dipolog Bueno Food Processing, Inc. in Dipolog city. For inquiries and direct orders, please contact, Mr. Ben Bueno at 09164655234 or thru me at admin@obnoxiousqueer.com. Now, grab a bottle of Bueno Sardines at your own choice and enjoy your meal!!! Last February, I went home to celebrate my birthday with hand-picked friends and direct relatives. It’s been a long while that I haven’t returned back to my little own city haven, Dumaguete city. When I left the small city to have my luck in Cebu for a decent job, there aren’t new restaurants or dining place. People of Dumaguete might be frugal that time. 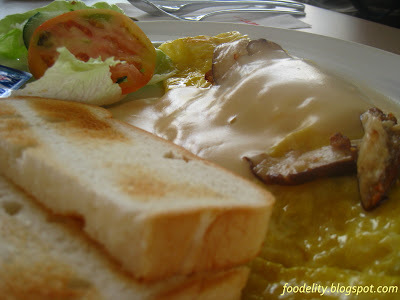 Surprisingly, friends referred me to a chic and stylish food place and that is Gabby’s Bistro! Owned by the young Chef Gabby del Prado. The good thing in Gabby's is that they have wifi access all over the place! So you could bring your lappies or ipod and just spend the time with its palatable food. The “feel at home” concept is what best describes the bistro. It’s like a family house turned into a restaurant that opens it doors to their guests. Each corners of the place are personally conceptualized and you can obviously notice it through the designs of their doors, cabinets, windows, tables, couches, chairs, curtains and even their ceiling fans! I like their comfort room, it’s really a place that you can relax and feel the private comfort. A friend took shots of it. Judge the way it was designed. Very friendly and accommodating to your request. Dumaguete is known to be the city of Gentle People. Their reception area is classy. As a birthday treat to my close pals in the city, I made sure they get what they are craving for at the bistro. * Kabobs- a stick of handmade pork meat brochettes, onions, tomatoes, cucumber, red bell pepper with dipping sauce. * Mongolian Beef - a bowl of sautéed Mongolian-styled beef with bean sprouts. * Oriental Shrimp- a line of flavorful shrimps with its special chilly dipping sauce and served with some side bean sprouts. * Gabby’s salad- with garlic bread, lettuce, tomatoes, sesame seeds, olive oil and other tasty ingredients mixed to it. 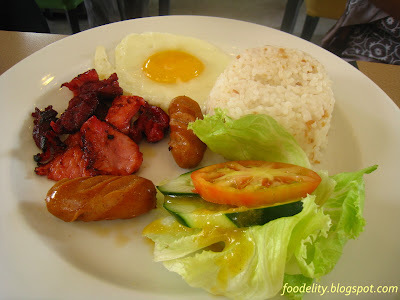 *Pork barbecue- Gabby’s bistro’s own style pork barbecue. Side trip and camwhoring shots with my friends.